You are here: Home / Archives for By Saint / St. Andrew, the Fool for Christ of Constantinople ca. 9th cent. 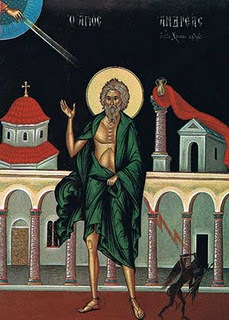 Once during a terrible winter when St. Andrew lay in a city street frozen and near death, he suddenly felt a warmth within him and beheld a splendid youth with a face shining like the sun, who conducted him to paradise and the third heaven.